The Court Cupboard Craft Gallery is housed in an ancient farm building dating back at least 500 years. Originally a granary and stable block, it is almost certainly older than the village ‘Courthouse’ which stands alongside and was renovated in in 1643. The Old Granary was still used as a stable until the 1900s. The current Court Cupboard Gallery was opened by The Black Mountain Circle (BMC) in 1995 after substantial renovation of the old building. The former Piggery opposite was converted into a modern, fully equipped training centre in 2001. This wonderful renovation project was awarded a Bronze Medal in the annual ‘Buildings & Works’ competition at the Royal Welsh Show in 2002. In 2006 the Old Milking Parlour across the yard was converted into a fully equipped pottery & glass workshop with funding from the Welsh Assembly Government and the WDA. For those interested in the architecture of our lovely building the 'Prison's Cell’ still exists beneath the old Courtroom of the Court House next door to the exhibition gallery. However you will be pleased to hear it doesn’t get much use today . 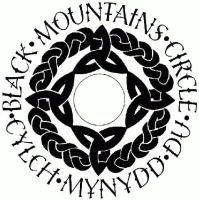 The Court Cupboard Craft Gallery membership was created exclusively for members of the Black Mountain Circle - a group of local artist and crafts people whose work demonstrates and represents the best in traditional skills and high quality products within their chosen discipline.